LG's marketing campaign for its new flagships, the V50 and G8, is in full swing, but that doesn't mean we shouldn't keep our eyes on the company's previous generation of top-tier phones. The V40 and G7 are still great phones, but they're probably not worth the full price considering the new devices cost about the same. Take the LG G7 ThinQ for example, a flagship that still sells for $750 in many places in the United States. Of course, you can find it cheaper at some of the major retailers across the country, so the main question is when to get one. Well, we can definitely say that B&H's current LG G7 ThinQ deal is one of the best that we've seen to date. 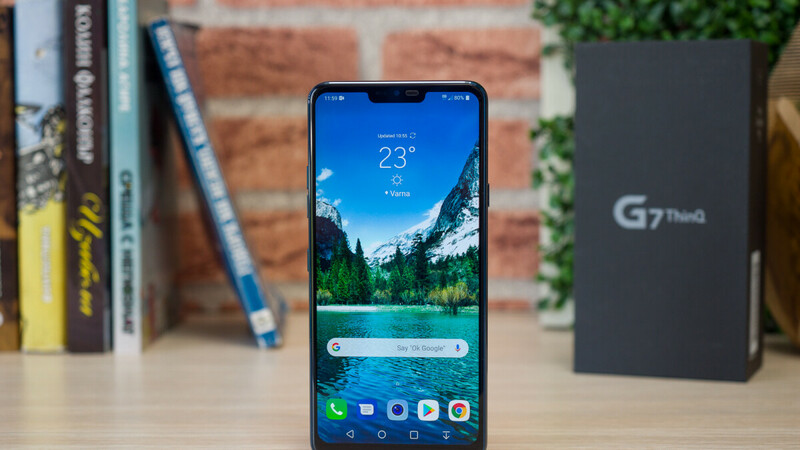 If you don't plan to buy LG's newest flagships, you could take a look at the LG G7 ThinQ, which is now on sale at B&H for just $430. Besides saving $320, you also get an unlocked high-end smartphone that will work on all carriers in the US, regardless of whether or not they're using GSM or CDMA networks. Also, check out our full LG G7 ThinQ review for in-depth information on one of the last year's flagships. That battery size is a killer for this phone. LG phone is underrated phone. I would switch to LG as my daily driver if she offer Samsung Pay equivalent. Again if she’s on par with Samsung then I dont see LG phone drop price tjis crazy. This is why LG is the bargain bin phone OEM. They are like those movies that are decent, do ok to meh at the box office, then end up in the $5 bin at the department store.